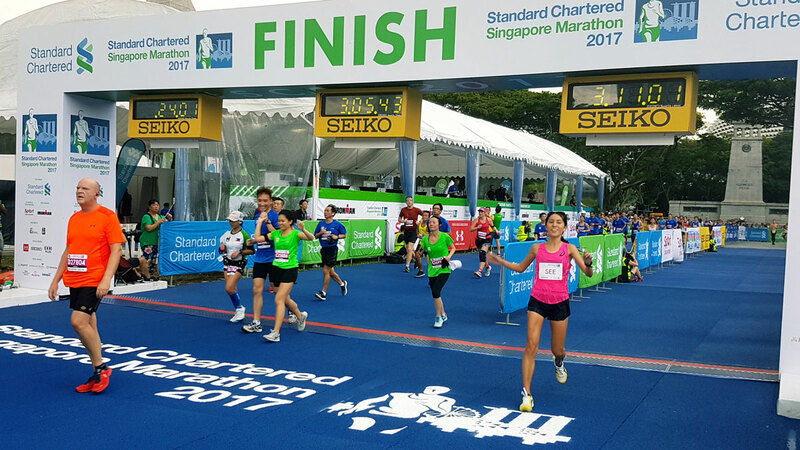 2 More Days To Get Early Bird Discounts To The Standard Chartered Singapore Marathon 2018 | JustRunLah! 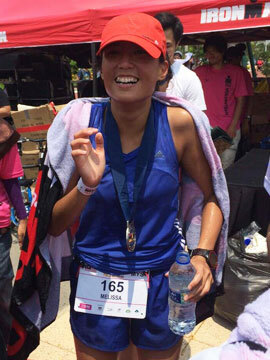 Do not miss out on the BIGGEST running event in Singapore! The 17th edition of the Standard Chartered Singapore Marathon 2018 is set for 8th – 9th December 2018. Registrations for the prestigious event is filling up with more than 25,000 sign-ups. Wait no more and take advantage of the Early Bird rates! Runners have 2 more days to snag the Early Bird Discounts! 6 different categories are set to take place over a course of 2 days. This is to deliver an improved race experience to over 50,000 runners. The 5 km category will be reintroduced and will flag off together with the 10 km category on the 8th December. The race will begin at the F1 pit building and finish by The Float at Marina Bay on Saturday morning. The half marathon and marathon runners will run their race on Sunday morning – 9th December! Families and kids are in for the ultimate bonding experience! The Kids Dash will take them through an exciting adventure as they dash through scenic zones of Universal Studios Singapore. For your kid, it will be an exciting adventure! For you, it will be reliving your childhood! Team up and show us your team spirit! 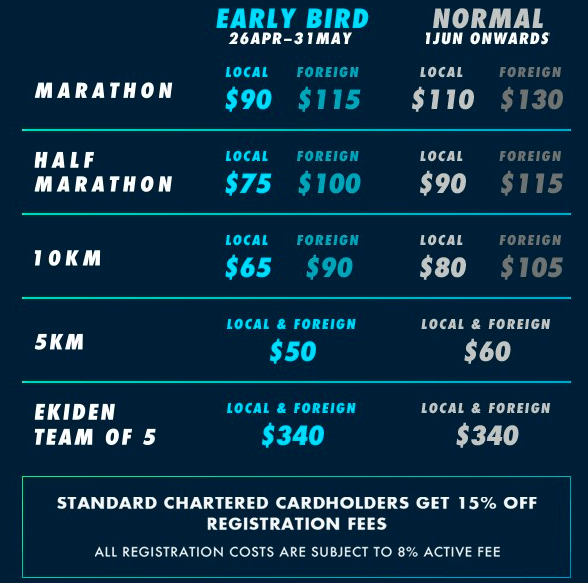 The Ekiden Category will offer 500 slots for 5 runners looking to run the Full Marathon as a team. Each runner will run about 8 – 9 km distance to make up the full marathon, depending on which part of the route the runner takes up! If you’re looking to challenge yourself, you can double up and sign up for 2 events. Warm up your legs with a 5 km or 10 km on Saturday, and unleash your full potential on Sunday with either the marathon or half marathon event. 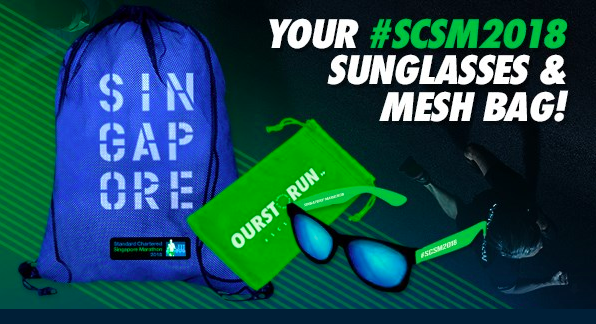 This year, SCMS is giving you a cooler race pack. In it, there will be sunglasses and a running mesh bag that will make perfect post-run gears. Look cooler in your post-race photos with these additional gears!